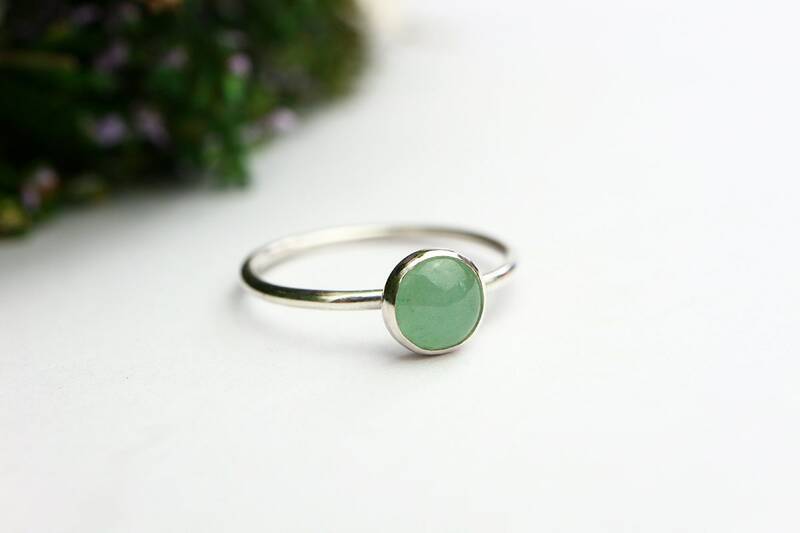 Green Aventurine gemstone ring, with a solid sterling stone setting. 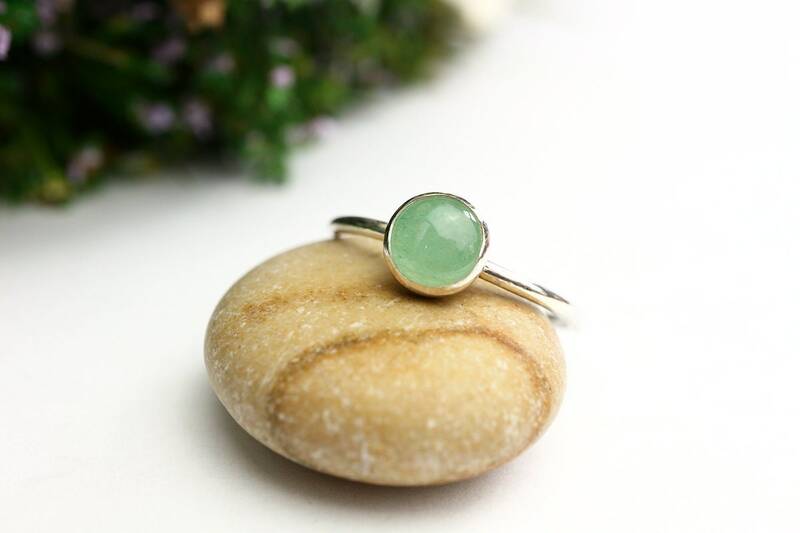 Aventurine is one of the luckiest stones, bringing opportunity and prosperity to those who wear it. 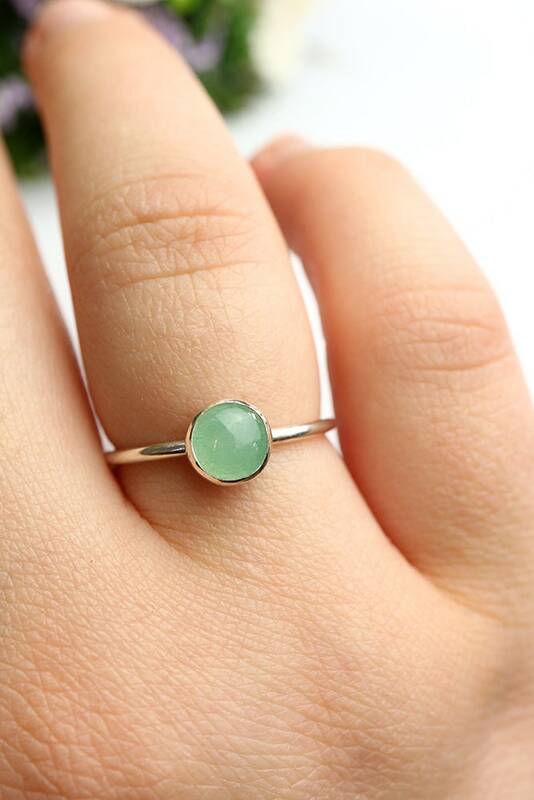 Perfect for that extra kick before a new job interview or first date - or simply those who want a lucky boost in everyday life. 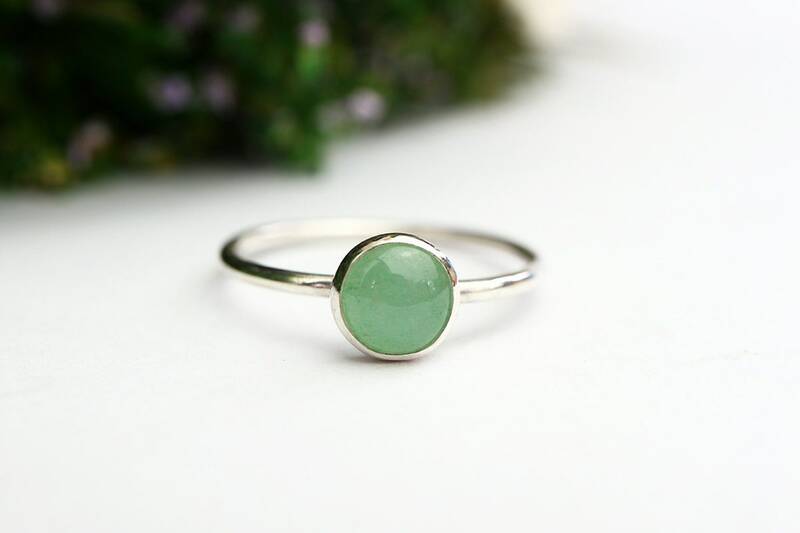 Aventurine is beneficial for those born under the sign of Virgo, so a perfect gift for anyone with this sign! 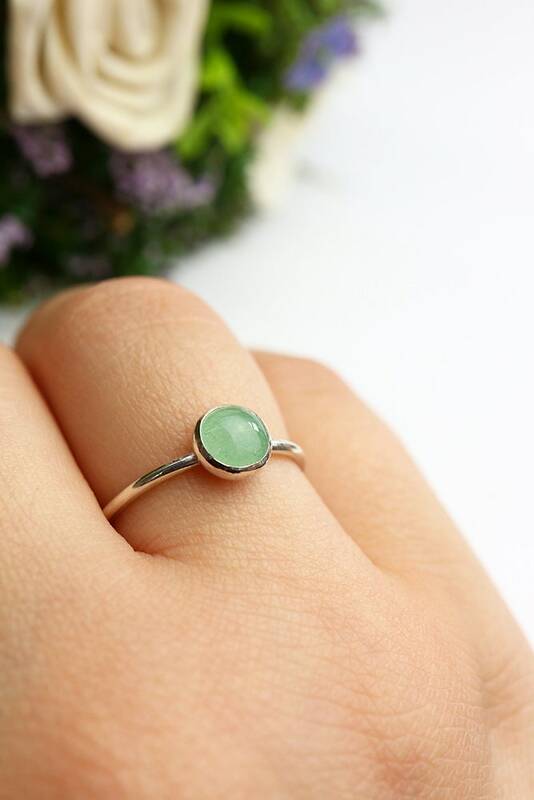 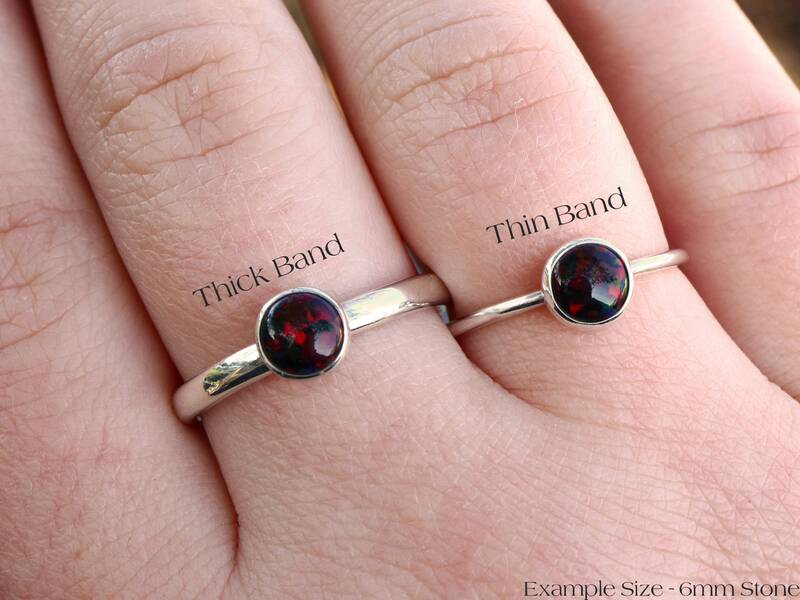 A really beautiful ring, well made and quickly received.